Christmas Eve is a holiday in itself for Italian Americans; as a matter of fact, because of the Feast of the Seven Fishes, Christmas Eve overshadowed Christmas by a mile in our family, not unlike most Italian American Families. Interestingly, I was just reading an article today that the claims the feast has lost a lot of significance in Italy, while it is still going strong among Italian-American families in the US. At the turn of the 20thCentury, when the bulk of Italian immigrants came to America, the feast was huge, and most Italian American families have preserved the old custom largely unchanged from when their grandparents and great grandparents came to America a century ago. To the Italians of my grandparents’ era, there had to be exactly 7 different fish in the feast. The varieties were different, family to family, as I am sure that a century ago, especially in Southern Italy, the varieties was determined by local availability. I can remember that when I was young, we always had calamari, baccala (salted cod), shrimp cocktail, breaded deep fried shrimp, smelt, and spaghetti with a baccala and tomato sauce, and because we grew up in Erie, we also had fried perch. After my grandparents were gone, the exact number varied a little, and now that my parents are deceased, the number is even less important. Over the years, we have dropped the calamari and baccala sauce, because the younger kids aren’t crazy about either, and have added broiled scallops and deep fried walleye because my kids catch a lot in lake Erie most summers. I guess the bottom line is that, while the exact number of fish and varieties are not so important, the general theme of the Feast of Seven Fishes lives on largely unchanged. One of the other things that has changed, at least somewhat, among Italian American families, is the choice of wines. When I was young, the wine was a red table wine, and it really did pair well with all of the fish, at least in my opinion and that of my family. My grandfather never made wine after immigrating, so I remember that Cribari Chianti paired with all food; sometimes a bottle of Zinfandel (in a gallon bottle, of course) was substituted. In families who made wine, the choice was whatever varietal or blend they made that year; for some it was Cabernet/Sangiovese, others it was Moscato. Like the fish, there were as many varieties of perfectly paired wine and fish as there were Italian families. Today’s wine connoisseurs would likely be appalled, but there is certainly some merit to our archaic taste. Honestly, while my taste in wines has been refined over the years, I still believe that any good wine will pair acceptably with any good food. I guess that’s why I believe that Papa Joe’s Frascati pairs perfectly with butter pecan ice cream. So here goes; these are the pairings of Papa Joe’s Wines with the many varieties of fish you may choose for the Feast of the Seven Fishes. Certainly the list is not exhaustive, but I am confident that we have a wine that will pair very well with whatever fish you prefer. Frascati – a light-bodied, dry, refreshing, fruity white from the Lazio region near Rome, pairs well with mild to medium flavored fish like shrimp, scallops, smelt, and baccala, and because of the acididy, Frascati can even neutralize the more pungent, fishy anchovies. Sauvignon blanc – A medium bodied, dry, fruity wine from Lanza-Musto vineyards in the Suisun Valley, California, pairs well with medium to more flavorful fish like shrimp, scallops, calamari, smelt, salmon, smoked white fish, and anchovies. Pinot Grigio – A medium bodied, dry wine with citrus and pear notes from Italy, pairs well with medium to more pungent fish. Good choices include, scallops, calamari, baccala, halibut, mackerel, smoked white fish, and anchovies as well as shellfish like lobster, oysters, and mussels. Moscato – Our sweet white, a white Italian varietal that made from Chilean juice, pairs well with spicy white fish and shrimp. Vino da Tavola – A blend of Cabernet Sauvignon and Sangiovese from the Central Valley, California is medium bodied, moderate in tannins and acidity. It pairs well primarily with tuna, anchovies, and other more flavorful fish. Rosso Alpino – A blend of Nebbiolo and Barbera, lighter in color but rich in Tannins, also pairs well with more flavorful fish like baccala, tuna, herring, and anchovies. 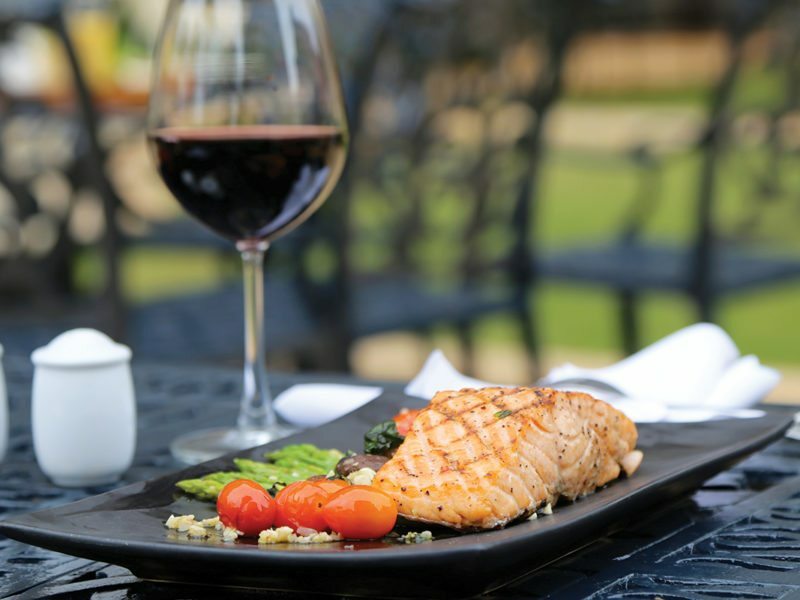 Malbec and Montepulciano – full bodied darker reds pair well with flavorful fish like tuna and salmon. Our dark, big reds, Tannat, Petit Sirah, and Teroldego may be too big for most people to pair with fish, but personally, I like both so well that I would pair them with anything. To each his own, I guess. Finally, our Ice Wine, made from frozen on the vine Vidal Blanc from North East, Pennsylvania near Erie, is probably too sweet to pair well with fish, but would be a great choice for pairing with fruit, pizzelles, or tiramisu at the end of the feast. While there are many other good choices for the Feast of the Seven Fishes, we at Papa Joe’s Wine Cellar have more than enough varietals to complement your feast, regardless of your choices.